Being a designer, it is your responsibility to understand the people's perspectives and then put your creativity in the designs in such a way that present them what they were thinking. Gestalt Psychology is the psychology of people's reaction to a visual object. So, your designs can become more effective and powerful after you implement Gestalt principles in them. Simplicity - Simplicity is the key to create stunning designs. Figure-Ground - Quick identification of the figure and ground. Proximity - Grouping of the elements within the design. In easy words, Kerning of elements. Similarity - The use of colors, orientation, the size, and the texture. Common Fate - Movement of the objects and figures in the same group. Symmetry - The balanced elements, parallel lines, and mirrored shapes are a part of the principle of Symmetry. Continuity - Continuous pattern of the objects. Closure - Best applies to logo design and deals with the closed figures within a logo. Common Region - Grouping of the elements by region. Connectedness - Connection between the elements using arrows, lines, and illustrations. The Gestalt Principles are the base of the visuals and designs, and they should be considered very seriously by the designers. 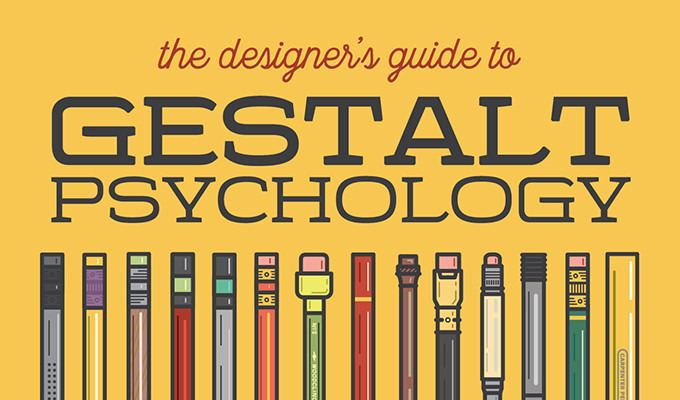 This infographic illustrates how to make your designs more effective by implementing Gestalt principles.